If you're wondering which new Ford truck or SUV is right for you, come to a Goode Motor Auto Group Ford dealership near Burley, ID. The team at our Hailey and Burley Ford dealerships can help you learn more about our 2018 Ford trucks and SUVs for sale, so you can buy or lease a Ford that makes sense for your lifestyle and budget. Our Ford sales and financing teams are happy to help you research the 2018 Ford truck and SUV lineups and to help you compare new Ford trucks and SUVs to one another. 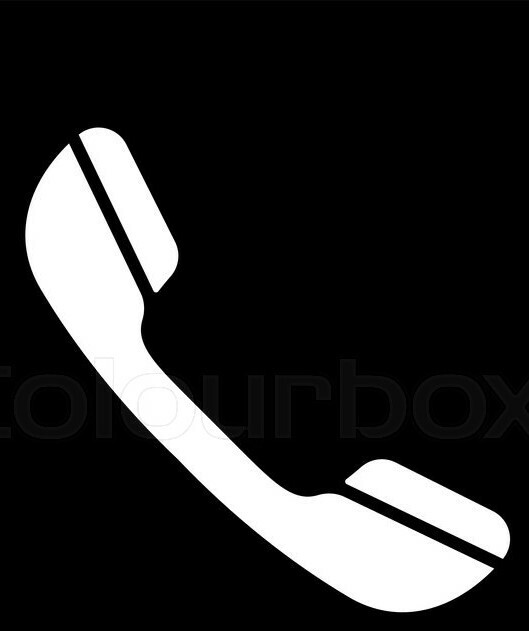 Read what we have to say about the latest Ford trucks and SUVs and come buy or lease a new Ford today! So you're interested in the new 2018 Ford F-150. The 2018 F-150 isn't just a truck, it's the 2018 Motor Trend Truck of the Year®. Boasting best-in-class towing, torque and payload capabilities, you'll become the leader on Idaho's roads and worksites from the moment you get behind the wheel. An Electronic 10-speed Transmission with Tow/Haul, Snow/Wet, EcoSelect and Sport Modes is available on higher 2018 Ford F-150 trims, and you can customize your truck's cabin to include an 8-inch LCD productivity screen to track the health of your pickup. Standard Trailer Sway Control with AdvanceTrac® with Roll Stability Control™ makes sure your gear is safely transported, too. Why not come test-drive a new Ford F-150 truck at one of our Idaho Ford dealerships? If you're looking for a compact Ford SUV that's small in size but big in capability, come test-drive a new 2018 Ford EcoSport SUV at our Ford dealer in Hailey, ID. The 5-passenger 2018 EcoSport is new to the Ford SUV lineup and comes standard with 1.0-liter, turbocharged direct-injection engine that can return up to 29 highway mpg. 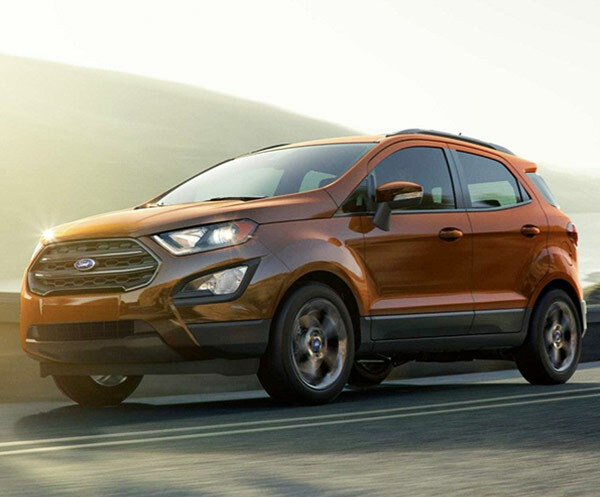 If you upgrade 2018 EcoSport trims, you'll enhance your Ford SUV's performance with a 2.0-liter Ti-VCT (GDI) engine that features intelligent 4WD. An optional SYNC® Connect infotainment system with in-vehicle Wi-Fi hotspot allows you to connect up to 10 devices, so gather up your friends and hit the road! You never know what your busy schedule holds, so buy or lease a 2018 Ford Escape SUV that can be configured to meet any passenger or cargo demands. Use the 60/40-split rear seat to seat up to five passengers one moment, or store up to 68 cubic feet of cargo the next. Traveling with a 2018 Escape full of passengers? You'll still find up to 34 cubic feet of available cargo space. You'll never commute without your favorite entertainment, either, because you can enjoy the capabilities of Apple CarPlay™ , Android Auto™ and a SYNC® 3 infotainment system with voice-activated technology and Wi-Fi® hotspot when you upgrade 2018 Escape trims. Still haven't found the 2018 Ford SUV that's right for you? Check out the new 5-passenger Ford Edge at our Ford dealer in Burley, ID. 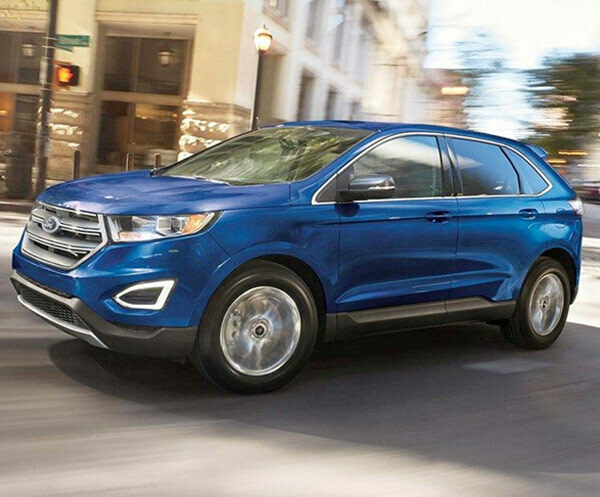 The 2018 Ford Edge can return up to 29 highway mpg and keep you thoroughly protected on Idaho's roads. Parallel parking takes skill, but with the optional Enhanced Active Park Assist system at the ready, you'll enjoy the accuracy and capability of 12 ultrasonic sensors to help simply the process. You can also upgrade 2018 Edge trims to receive a 180-Degree Camera to make reversing your Ford that much easier. Adaptive Cruise Control is even available to help you commute in stop-and-go traffic with peace of mind. Has your family grown to include over five people? If so, come lease or finance a 2018 Ford Explorer SUV at our Hailey Ford dealership. The 2018 Explorer can seat up to seven passengers, while still offering more space than the Ford EcoSport, Escape and Edge SUVs. A 3.5-liter EcoBoost® V6 engine is available on the new Explorer, and it's capable of producing best-in-class 365 V6 horsepower and 350 pound-feet of torque. 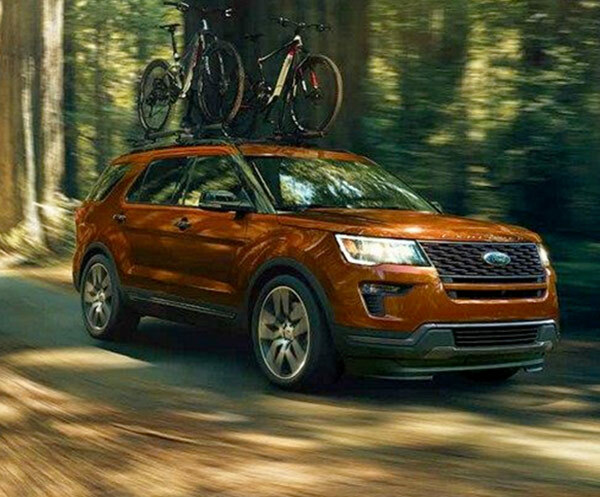 You can also finance a 2018 Ford Explorer 4WD model to enjoy the traction and stability of an Intelligent 4WD system with Terrain Management System™. Factor in the security of Hill Descent Control™, and you can hitch and tow a trailer with total peace of mind. Have a family of eight but don't want to sacrifice style for practicality on the road? 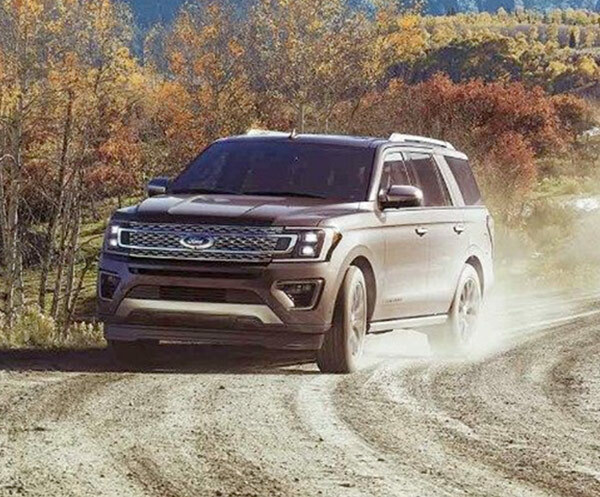 Have no fear because the 2018 Ford Expedition is here. 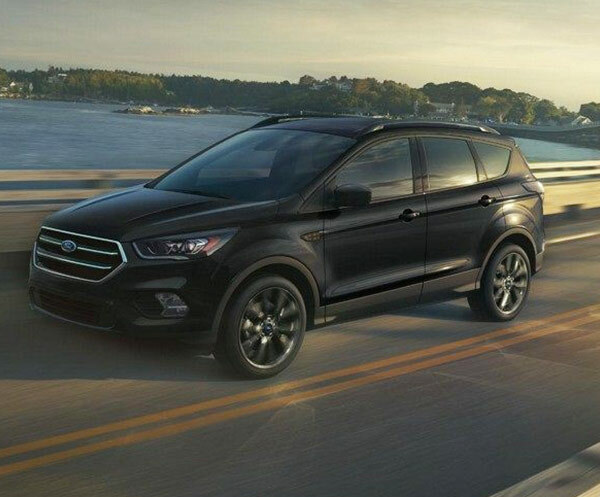 This 3-row, 8-passenger Ford SUV satisfies the whole family with its modern tech and sleek design. If you're heading out on a weekend getaway, you can pack up to 104.6 cubic feet of cargo without worry. You can also hitch up a trailer, as the new 2018 Ford SUV can tow up to a best-in-class 9,300 pounds when properly equipped. An optional Panoramic Vista Roof® grants you access to an open-air drive on a whim, and an available 12-speaker B&O Play™ Premium Audio system by HARMAN ensures your music plays in outstanding audio quality. To learn more about our 2018 Ford trucks and SUVs for sale, visit a Goode Motor Auto Group Ford dealership near Burley, ID, today. 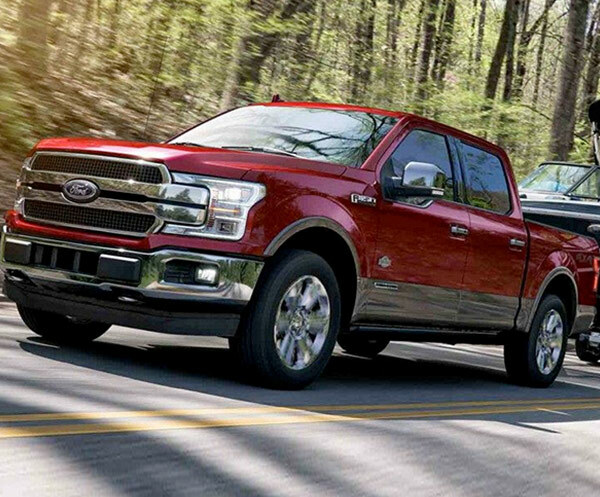 Our Hailey and Burley Ford dealers will help you compare new Ford trucks and SUVs, so you can make the right investment for you and your family!